This Christmas was a little different than the rest. For one, we hadn’t had mail here in going on two and a half weeks. So no mail in and no mail going out. So I didn’t even bother to send out my second batch of cards. Also the plane that brings food to our grocery store was delayed so it meant we didn’t have anything nice for Christmas. We had just a few odds and ends at home, so we ended up with just chicken soup for Christmas dinner. My husband and I were both sitting there like Oliver Twist wondering, “Please sir, can I have some more?” Later he was grinding his teeth because a relative kept on about all the food they had there. Not cool when someone has stated they are reeeeallly hungry and just had soup to eat. So today our gifts and cards from the U.S. arrived. My husband brought them home during lunch and, since he had to head back to work, he opened his stuff up fast. So after he left, I opened the presents that came in the mail by myself. It was so weird opening gifts alone. It was like spending the holiday by myself. You’d think that’d feel lonely, but it was quite satisfying because if I wanted to freak out and be materialistic and shriek, I could. And if I didn't like something that was way too huge on me, I didn't have to be fake and pretend to not hate it or worry about looking ungrateful. Plus, I got the bubble wrap all to myself. Popping nirvana. Every Christmas there seems to be a resounding theme. There was the year everybody gave me something purple, the year I got all silver hoop earrings in various sizes, and how can we forget the year that was all DKNY? One of the best years ever. This year Elvis and Hello Kitty kept cropping up as magnets, pens/pencils, calendars, office stuff, decorative things, etc. Oh, and bracelets and pillows. As I write my rear is perched on a very comfy and pretty new pillow. Jealous? You should be. It’s awesome. It always makes me smile at how the gifts that people pick out for you show how much they really know you. My husband is excellent at picking out what he knows I’ll like. I can be really picky about purses and clothes, but he is one of the few people who get it right every time. Then there are others who obviously don’t know what size I’d wear and one year you wind up with something that fits a Barbie doll and the next year it’s a sweater that would fit Shamu. They also don’t know (or care) what my style might be or what colors might make me look like I need a transfusion or something. I guess some people know you and then there are some people you never quite connect with there. On a different note, I have had to order everything online since I moved to the island two years ago. In the past two years there have been companies that wouldn’t know customer service or quality merchandise if it bit them, companies who I put up with their inferior products because they’re one of the few that deliver here or carry what I need, and companies who get it right every time. I won’t dog the bad companies who I will never do business with again or the sub-par ones, but I will say there were two who shocked me. I always thought Nordstrom, Amazon, and Macy’s were the best of the bunch, but I have had a few duds from them and a few returns. The new companies who have managed to deliver in a decent time frame (shocking since it can take a while for stuff to get here) and have it look like what it did on the website (take note, Nordstrom, not everybody wants Minnie Mouse shoes) are Sears and Kmart. I needed some basic home stuff (pillows, towels, etc.) and it got here right away, looked how it did online, and was properly packaged. Why these other companies can’t get it together is beyond me, but hats off to Sears and Kmart. Now if you'll excuse me, I have to go and put a pillow over my head. My hubby got a Mannheim Steamroller CD toay and nothing gives me a headache or makes me want to jump out of my skin more. Ugh! The only thing worse for me would be the sound of bells. I once begged to get out of covering a bell concert for the paper one year. I hate ringing bells! If it were up to me, no angels would ever get their wings because all bells would be banned. So having synthesizers and bells together make me want to lose my mind. Merry Christmas and let's have a silent night soon, please? Please??? I was excited that my contributor copies of the anthology I wrote for, arrived in the mail this weekend. 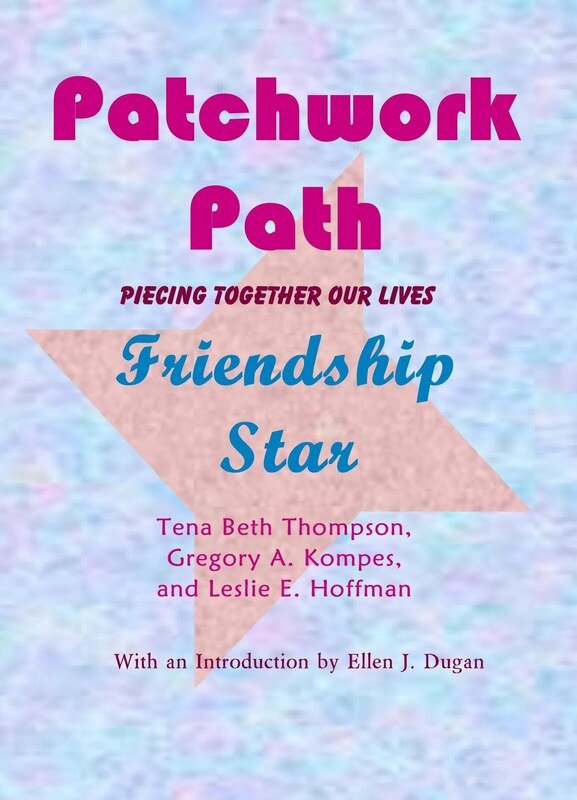 I had written about a woman I met back when I lived in Grand Blanc, MI. I had been assigned to write an article on her and when I did the interview (over the phone), I felt a real connection to her. A month or two later, she called one of the editors to see if she could get more copies of the article. I happened to be at that office near Flint, MI that day for the Christmas party, so I offered to drop them off. I ended up staying for hours since she had made dinner for me in the hopes I'd stay. After that, we became fast friends and spent a lot of time together. She told me about living in the South and the hardships she went through because of the racism in those days. We shared so much and had so much fun together despite our 40-some year age difference. I was devastated when she told me she didn't think she had a lot of time left because of heart disease. I learned so much from her and losing her was one of the hardest things I've had to deal with. I can only hope that I captured the kind of person she was in my essay so that people can learn from her the way I was blessed to have done. First off, the Buick Open is held in Grand Blanc, MI, not Flint, but that’s beside the point. Many of the golfers stay with families as opposed to hotels during the Buick Open. My neighbor had one of the tournament winners stay with her for years and she not only took him around, but also his wife while he was practicing. They also provided day care for the kids of the golfers and the caddies, too. These volunteers go out of their way to make sure the golfers and their families are comfortable and well taken care of and it appears that Mark isn’t exactly appreciative. Right now Flint is going through a rough time and having him make a negative comment about the city during this time just reeks of kicking someone when they’re down. It’s really not professional to bash a place that’s welcomed you either. Remember Sienna Miller’s unfortunate comment about Pittsburgh? At least she had the class to apologize. Besides, Flint has come along way and the downtown has really been revitalized with new restaurants, etc. And yes, I am from Grand Blanc originally and I not only grew up attending the tournament, but worked it as a journalist and TV producer’s assistant. I remember marking off Mark’s name on sheets so that we had TV footage of him to use in the specials. He didn’t particularly stand out to me, but you always pay attention to who goes out of their way to be nice to fans as well as the press. Some of the golfers do go out of their way to sign autographs (if asked politely) and chat with fans in the first few days. Some even hand out golf balls to fans. However, when the competition heats, up, people wait until the golfers are done playing for the day to get autographs. Fans, workers, and volunteers have always been pretty courteous and supportive in all the years I’ve attended, so I was hurt to hear anyone making a negative comment. A friend recently shared with me that she found a lily growing in her garden on her birthday last week. She never planted any lilies, but found out that years ago her late grandmother had planted one, but they never bloomed--until now. She thought it was so sweet that she got a present from her grandma. That got me thinking about the shower gift that I got from my grandmother after she had passed. She had died in 1993, yet the gift (her wedding crystal) was found in 2006 the very day before my bridal shower. 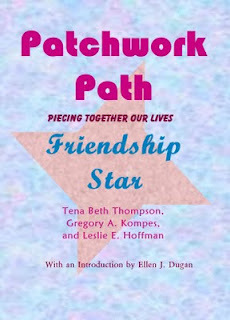 I wrote about it for an anthology called, Patchwork Path: Grandma's Choice. it's just a really nice reminder that even when people pass on, they are still with us. I've been trying to wrap my mind around Michael Jackson's death. Over here, the European music stations have been playing his music videos non-stop. They've been showing a lot of Michael's newer stuff that I hadn't before like the "Stranger in Moscow" song, etc. But having them go through the catalog of his work really triggered a lot of memories and reminded me what a big part his music played in my life growing up. I can remember dancing to his music in nursery school. When a neighborhood friend came over to play, I remember she was wearing a Mickey Mouse t-shirt and her mom said, "Annie loves Mickey. She wants to marry him." My mom looked at me (wearing my baby blue iron-on MJ t-shirt) said, "My future son-in-law might be Michael Jackson." I used to carry my MJ slouchy fake leather purse with his picture on it--the same one all the middle school and high school girls carried. I'd see the older girls at the bus stop with their purse sitting on top of their books, so I'd pull my workbooks out of my Care Bears backpack and set it on top. How they didn't laugh their asses off at me I'll never know. I listened to his music as a little kid with a crush, then in grade school, and high school. Even over here, I would look up one of his videos on YouTube to listen to or watch as I worked. Had you asked me, who's you favorite singer, I'd say, "George Michael, Elvis, Michael Buble." But when I think about all the great music he's left behind, how could I leave Michael out? Few singers have moved me to tears with their music, but I have teared up when I've heard, "Man in the Mirror," "Heal the World," and "You Are Not Alone." No matter what happens next, or what we find out, he has left a great musical legacy behind. And that's how I want to remember him. 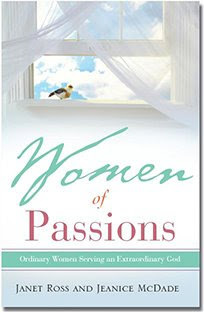 Thanks for entering the contest to win a copy of the Women of Passions anthology. I was thrilled to have my work in this book and excited to share it with everyone. I really appreciated all the kind and encouraging posts! I randomly selected a name and the winner is Melissa! Melissa, I have already sent you an e-mail so I can get your address. Thanks! 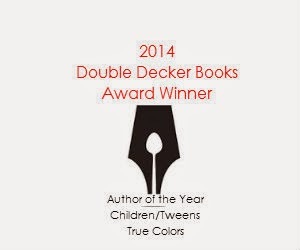 Check out this interview about a great new book about getting over heartbreak, chocolate, and bouncing back. I love stationary and this stuff looks so cute!